The Division of the Vice-President Research & Innovation (VPRI) is institutionally responsible for York University's strategic research planning. The division also provides research services for faculty members, promotes a sustainable research environment, and communicates the results and impact of York's research. Located in the Kaneff Tower, the division includes the Office of the VPRI, the Office of Research Services (ORS), university-wide Organized Research Units (ORUs), Innovation York, the Office of Research Ethics and the Knowledge Mobilization Unit. ResearchImpact, Canada’s knowledge mobilization network, founded by York University and the University of Victoria. If you would like to view a list of Grants and Contracts received from 2006-2017, please contact the Office of the Vice-President Research & Innovation by email. View the Implementation of the Public Health Service (PHS) New Financial Conflict of Interest Regulations at York University. 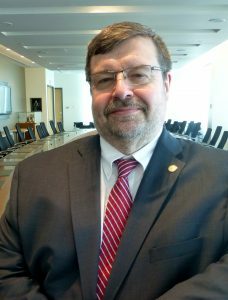 Dr. Robert Haché is Vice-President Research and Innovation at York University, where he is responsible for promoting and overseeing the strategic development of research. Haché has been instrumental in building research collaborations and partnerships with international universities. He also oversees institutional supports for research, such as Innovation York, which provides services to York researchers, government and industry partners within five service streams including: commercialization, industry liaison, agreements, entrepreneurship and the internationally award-winning Knowledge Mobilization stream, which has been increasingly recognized for its leadership in social innovation. Dr. Haché has driven the institutional strategic research priorities forward with the development and implementation of the University’s Strategic Research Plan, Towards New Heights 2018-2023, and the University’s Plan for the Intensification and Enhancement of Research, while working to strengthen the University’s research profile both nationally and internationally. Dr. Haché holds a BSc (biochemistry) from McGill University and a PhD (biochemistry) from Queen’s University. Celia Haig-Brown, Ph.D., is Associate Vice-President (AVP) Research and a Professor in the Faculty of Education at York University. Haig-Brown was instrumental in helping facilitate the consultation process for Building on Strength, 2013-2018, the University’s Strategic Research Plan. She is also the immediate past Associate Dean, Research, Community and Professional Learning in the Faculty of Education. She served as Chair of Senate in 2009-10. Haig-Brown’s research interests include: (de) colonizing research and practice, critical ethnography, critical/feminist pedagogy and protocol for Indigenizing the Academy. 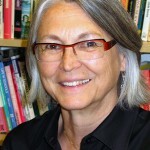 Haig-Brown is the recipient of the Ted T. Aoki Award for Distinguished Service in Canadian Curriculum Studies and is a former president of the Canadian Association for Curriculum Studies. She is author and co-author of four books, numerous articles and book chapters and currently holds a SSHRC Insight Grant focused on documentary film with the Naskapi Nation. 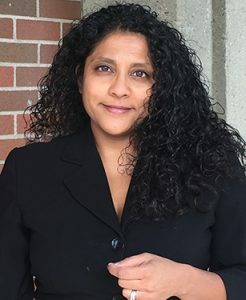 Rebecca Pillai Riddell, Ph.D., will help facilitate the promotion of strategic research development at York and lead the development of research policy that bridges the needs of researchers and the institution. She will work with Robert Haché, VPRI, and the other AVP (Professor Celia Haig-Brown) to enhance the services available for all researchers, help continue to track and build York’s research performance, provide leadership for York’s organized research units, and enlarge the University’s collaborative role with external stakeholders and communities. Pillai Riddell, Faculty of Health, has established the first norms for the development of acute pain behaviours in healthy infants, within the context of primary caregivers, through her Opportunities to Understand Childhood Hurt (OUCH) Lab at York. Internationally, the OUCH cohort is known to be the largest and most in-depth longitudinal study on healthy infants and caregivers during vaccination to date.